400 years ago a flying ship arrives to Korea. As a result of certain events, one of his passengers is abandoned on Earth. He can’t go back to his home, so he lives quietly for 400 years among people. 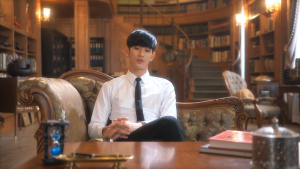 In modern Seoul, our newcomer’s name is Do Min Joon and works as university professor. He becomes the neighbor of the very famous and spoiled actress Chung Song Yi. At first they do not like each other, but with time the love blossoms, even though our hero fights against it. The moment comes that Chung Song Yi is in imminent danger, and Do Min Joon, is forced to use his extraordinary powers to save her from oppression. 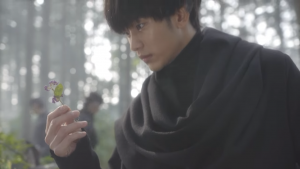 Pretty old series (December 2013), which has become a huge hit and should be watched by everyone who is interested in Asian dramas. Let me be honest – I was very suspicious of it. The whole story about love between the alien (!!!) and the famous actress seemed to me exceptionally unbelievable and even cheesy. The series has received very good reviews. On the forums fans were writing about it in superlatives, and China struggled with total obsession. Well, millions of Chinese people can’t be wrong, so I decided to bend my neck and take a chance. From the first episode, the series definitely seduced me. Remembering the serious faces of our heroes on promotional posters, I expected something terribly stiff, but the whole Chung Song Yi is a walking comedy. 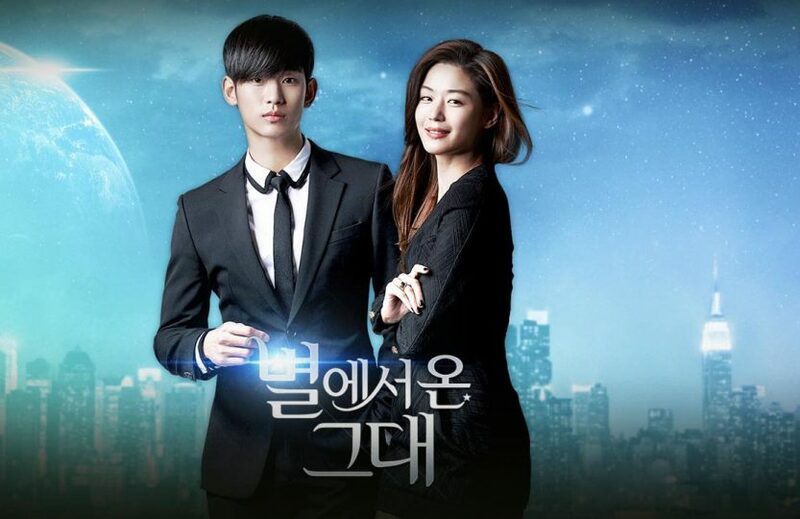 I liked a lot about this series: the main character’s narrative, humor, action, clothes (Chung Song Yi creations), and the main pair of actors – Kim Soo Hyun and Jun Ji Hyun – and the chemistry they managed to create. 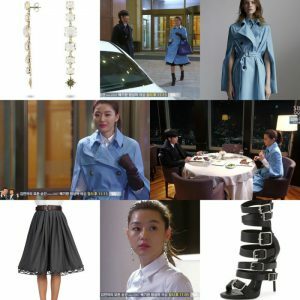 Jun Ji Hyun in the role of spoiled and not very brilliant (just stupid) celebrity only confirmed everyone in the belief that she is a really good actress who has a great distance to herself. 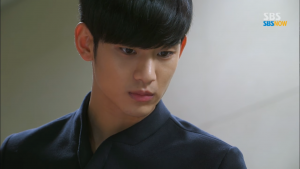 As for Kim Soo Hyun, he is a damn good actor and of course he is very handsome. If every alien looked like him, most of the women on Earth would probably be waiting for an invasion. I had the opportunity to watch him in several productions and he surprises me every time. After this drama, his popularity has increased throughout Asia, and he probably picked up all possible advertising contracts. Unfortunately, he is now in the army and we have to wait for his next projects until the summer of 2019. 1.The main actors and chemistry they managed to create. 3.Clothes of the main woman character. Every of her creations were pulled straight from the runway. 1.Sometimes cheesy moments, but really harmless. Typical story of today. Love all of the photos. This is so nice and I agree with you with the clothes. I would watch to see what she’s wearing next. This looks like an interesting film to check out on date night. I’ve not heard of this one before. Interesting read though. And you do have a way with words! I can tell who your favourite was! This kdrama is one of the watch list. I love Jun Ji-hyun! I love her acting on Legend of the Blue Sea with my oppa Lee Min Ho. Thanks for sharing ♥️ ♥️ By any chance you are interested on doing collaborations, you can check out the collaborations portal of Phlanx.com and connect with amazing brands! This sounds so entertaining LOL! They way you described it makes me want to watch it. I have never watched Asian dramas partly because I don’t think I would enjoy them… but I also had the same sentiments about The Office and now I’m a huge fan. The actors are all so beautiful!